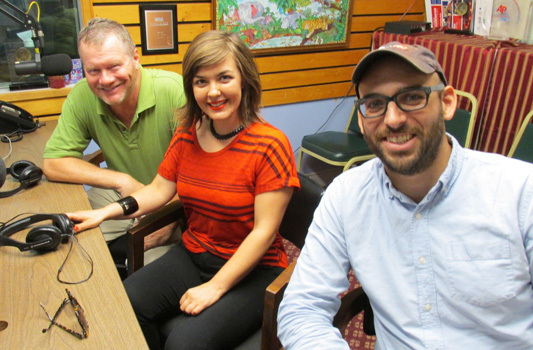 John Horrigan, host of The Folklorist and show producers & co-directors Angel Harrer and Andrew Eldridge are guests on this segment of Monday Night Talk. The Folklorist is a half-hour Emmy award winning television series produced by NewTV, a community access television station located in Newton, Massachusetts. The series explores some of the unique and lesser-known stories throughout history. Each half-hour episode of the show contains 3-4 featured segments that go into the backstory and lasting effects of a particular topic of folklore. John, Andrew and Angela share details of how they each became involved with the program, how the show has evolved over the past couple of years, what goes into creating each segment and the future of the show itself. To learn more or watch segments or entire shows please visit folklorist.newtv.org/. Do you have an topic for a future show or info on an upcoming community event? Email us at mondaynighttalk@gmail.com or "like" and post a comment on our Facebook page: www.facebook.com/mondaynighttalkon959fmwatd. If you're a fan of the show and enjoy our segments, you can either download your favorite segment from this site or subscribe to our podcasts through iTunes today! © Monday Night Talk with Kevin Tocci - 2015. Unauthorized use and/or duplication of this material without express and written permission from the show host and/or owner is strictly prohibited. 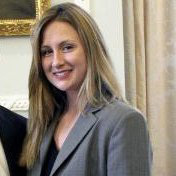 Kelley Gossett, co-chairman of the organization No Boston Olympics is a guest during this segment of Monday Night Talk! Kelley calls in hours after the news breaks that the US Olympic Committee announces that its pulling Boston's bid to host the 2024 summer games. She gives her insight to the situation and what she and members of her group will do following their success with this issue. For more info on this group visit their website; www.nobostonolympics.org/ .Do you have an topic for a future show or info on an upcoming community event? Email us at mondaynighttalk@gmail.com or "like" and post a comment on our Facebook page: www.facebook.com/mondaynighttalkon959fmwatd. If you're a fan of the show and enjoy our segments, you can either download your favorite segment from this site or subscribe to our podcasts through iTunes today! © Monday Night Talk with Kevin Tocci - 2015. Unauthorized use and/or duplication of this material without express and written permission from the show host and/or owner is strictly prohibited. 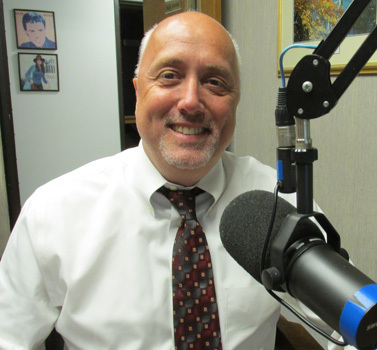 Attorney Marc Harrold is a special guest on this episode of Monday Night Talk! 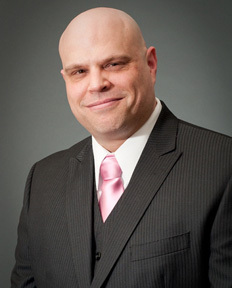 Marc has a long, impressive resume that outlines his work as an attorney, work with all levels of law enforcement, including Homeland Security and ICE, plus his appearance and contributions as a legal and political analysts for a number of media outlets like print, radio and national television. During this segment, Marc provides insight to the country's ongoing issue with terrorism, lone wolf acts and what can be done to better anticipate such acts without encroaching on personal freedoms that we are granted by the Constitution. To find out more about Marc, visit his website; marcharrold.com. Do you have an topic for a future show or info on an upcoming community event? Email us at mondaynighttalk@gmail.com or "like" and post a comment on our Facebook page: www.facebook.com/mondaynighttalkon959fmwatd. If you're a fan of the show and enjoy our segments, you can either download your favorite segment from this site or subscribe to our podcasts through iTunes today! © Monday Night Talk with Kevin Tocci - 2015. Unauthorized use and/or duplication of this material without express and written permission from the show host and/or owner is strictly prohibited. 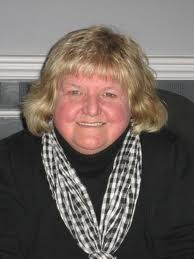 Weymouth Mayor Sue Kay is a guest during this segment of Monday Night Talk! Mayor Kay discusses the latest with the Southfield development, known as the former Weymouth Naval Air Base, plus she talks about the pending Proposition 2 1/2 Override and her bid to be re-elected as mayor this fall. To find out about the mayor's re-election bid, visit her website; www.suekay.org/ Do you have an topic for a future show or info on an upcoming community event? Email us at mondaynighttalk@gmail.com or "like" and post a comment on our Facebook page: www.facebook.com/mondaynighttalkon959fmwatd. If you're a fan of the show and enjoy our segments, you can either download your favorite segment from this site or subscribe to our podcasts through iTunes today! © Monday Night Talk with Kevin Tocci - 2015. Unauthorized use and/or duplication of this material without express and written permission from the show host and/or owner is strictly prohibited. Holly Robichaud, a columnist with the Boston Herald is a guest on this episode of Monday Night Talk! Holly kicks off the segment discussing the breaking news regarding the United States Olympic Committee pulling Boston's bid to host the 2024 summer games. She also talks the move by a couple of the state's biggest unions to push for a graduated income tax ballot question. Do you have an topic for a future show or info on an upcoming community event? Email us at mondaynighttalk@gmail.com or "like" and post a comment on our Facebook page: www.facebook.com/mondaynighttalkon959fmwatd. If you're a fan of the show and enjoy our segments, you can either download your favorite segment from this site or subscribe to our podcasts through iTunes today! © Monday Night Talk with Kevin Tocci - 2015. Unauthorized use and/or duplication of this material without express and written permission from the show host and/or owneris strictly prohibited. Keith James and Sandy Streid, hosts of Twighlight Showcase Radio are guests for this segment of Monday Night Talk! 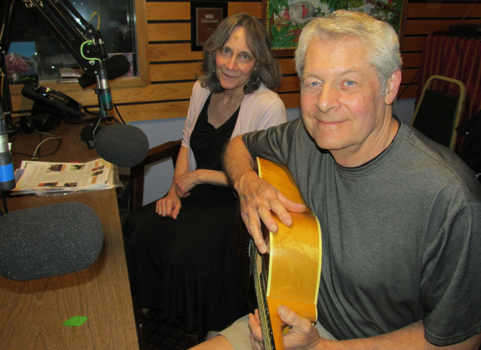 Sandy and Keith discuss their radio program that is heard every Sunday on 95.9FM WATD from 7pm to 8pm and gives talented artists an opportunity to share their music. They also talk about the creation of their organization Potentials Unlimited, which works with singers, dancers, actors of all ages with or without disabilities. The listeners are also treated to some of Keith's music, including a live in studio performance! To learn more about the Potentials Unlimited and Twightlight Showcase, visit their website: twilightshowcaseradio.wordpress.com. Do you have an topic for a future show or info on an upcoming community event? Email us at mondaynighttalk@gmail.com or "like" and post a comment on our Facebook page: www.facebook.com/mondaynighttalkon959fmwatd. If you're a fan of the show and enjoy our segments, you can either download your favorite segment from this site or subscribe to our podcasts through iTunes today! © Monday Night Talk with Kevin Tocci - 2015. Unauthorized use and/or duplication of this material without express and written permission from the show host and/or owneris strictly prohibited. 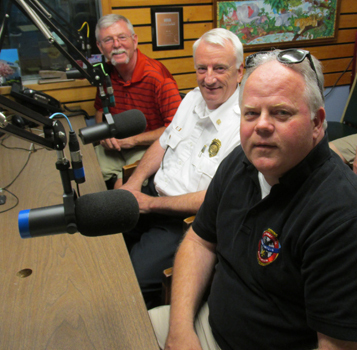 Duxbury Fire Chief Kevin Nord, Plymouth Fire Chief Ed Bradley and former Marshfield Fire Chief Kevin Robinson are guest on this episode of Monday Night Talk! The discussion centers around the Plymouth County Tech Rescue Team, its inception, situations when the team is deployed and recent incidents they've been involved in. The Chief also provide an update on the County Fire/Rescue facility, which is currently land locked. Do you have an topic for a future show or info on an upcoming community event? Email us at mondaynighttalk@gmail.com or "like" and post a comment on our Facebook page: www.facebook.com/mondaynighttalkon959fmwatd. If you're a fan of the show and enjoy our segments, you can either download your favorite segment from this site or subscribe to our podcasts through iTunes today! © Monday Night Talk with Kevin Tocci - 2015. Unauthorized use and/or duplication of this material without express and written permission from the show host and/or owneris strictly prohibited. 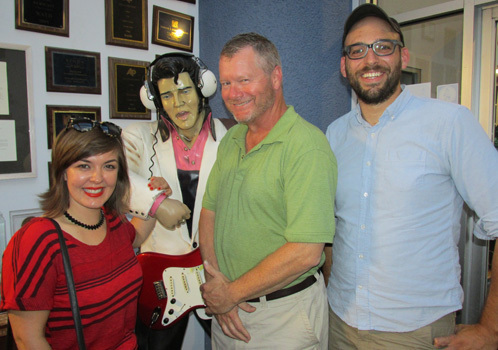 Mayor Bill Carpenter is a guest during this episode of Monday Night Talk! Mayor Carpenter discusses a number of topics like the passing of State Senator Tom Kennedy, potential candidates to serve out the rest of his term, the latest with the possible purchase of the Aquaria water desalination, the downtown college collaborative project that's now on hold and the city of Brockton being picked for the Transformative Development Initiative. Do you have an topic for a future show or info on an upcoming community event? Email us at mondaynighttalk@gmail.com or "like" and post a comment on our Facebook page: www.facebook.com/mondaynighttalkon959fmwatd. If you're a fan of the show and enjoy our segments, you can either download your favorite segment from this site or subscribe to our podcasts through iTunes today! © Monday Night Talk with Kevin Tocci - 2015. 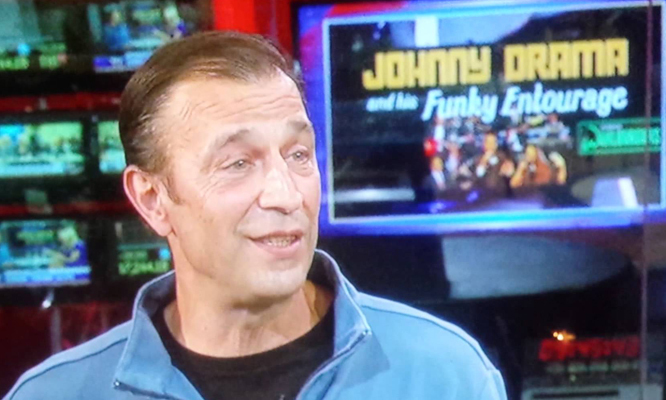 Unauthorized use and/or duplication of this material without express and written permission from the show host and/or owneris strictly prohibited. 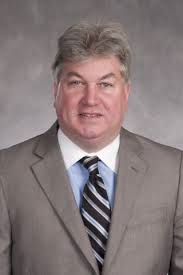 State Rep Mike Brady is a guest during this episode of Monday Night Talk! Rep Brady announces that he will run for the remaining term of the late State Senator Tom Kennedy's seat. A special election is being held on October 6 (Primary) followed by the general election on November 3. Do you have an topic for a future show or info on an upcoming community event? Email us at mondaynighttalk@gmail.com or "like" and post a comment on our Facebook page: www.facebook.com/mondaynighttalkon959fmwatd. If you're a fan of the show and enjoy our segments, you can either download your favorite segment from this site or subscribe to our podcasts through iTunes today! © Monday Night Talk with Kevin Tocci - 2015. Unauthorized use and/or duplication of this material without express and written permission from the show host and/or owner is strictly prohibited. Johnny Drama is a guest during this segment of Monday Night Talk! Johnny Alves is the real “Drama” from the HBO show and Movie, Entourage and a close “Cuzin” of Mark Wahlberg. A music man through and through, Drama worked in the record industry in LA. Drama was hired to use his acute musical sense as music supervisor for the HBO Show. Johnny recently moved from LA with his family back to Plymouth where music remains his passion. 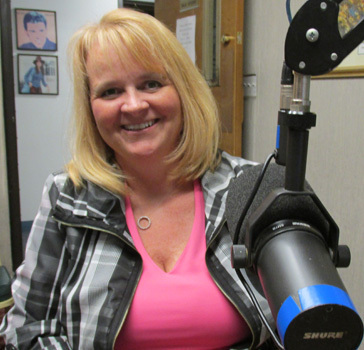 During the program he discusses an upcoming event; Loretta LaRoche Productions presents the Plymouth Funk Music Fest on July 25th from 12 noon until Midnight! A full day of Music, Food, Beer Garden,Vendors and Dancing! Start the day at Hedge House Lawn at 12 noon with the cool sounds of local bands. Bring your blankets, sit back and enjoy the local bands; Rick Express, Ripe, Richie Rich and 24 Karat Funk and Otter. Your senses will continue to come alive with the aroma of a smoking B.B.Q from the two ton Artisan Grill and Smoker. An awesome BBQ with Celebrity Chef Raymond Alongi, as seen on Fox TV “HELL's Kitchen”. He will be cooking with Plymouth’s very own Foodzilla on Wheels, a 34’ Monster Food Truck. Additionally, The Budweiser Mobile Beer Garden will be on the lawn with a great selection of chilled beers. Don’t want to sit and chill? Walk the Lawn and Shop! Beautiful Jewelry, cloths, art and more with Mermaids on Cape Cod”, local artists/vendors and Art on the Spot for your face painting and hip Henna tattoos. There will be fun games including bean toss, velcro wall and inflatable sumos. There is something for everyone during the day.The evening portion will open at 7 PM inside Plymouth Memorial Hall with hours of Musical entertainment and Dirty Water Distillery Bars, exclusive to those 21 years and older. Dance the night away with incredible sounds of The Cornerstone, 3rd Left, Thaddeus Hogarth and our headlining act; Real Johnny Drama & his Funky Entourage. TICKETS: www.LLPpresents.com Call- 1-800-838-3006/ Also visit www.PlymouthFunkMusicFest.com. Do you have an topic for a future show or info on an upcoming community event? Email us at mondaynighttalk@gmail.com or "like" and post a comment on our Facebook page: www.facebook.com/mondaynighttalkon959fmwatd. If you're a fan of the show and enjoy our segments, you can either download your favorite segment from this site or subscribe to our podcasts through iTunes today! © Monday Night Talk with Kevin Tocci - 2015. Unauthorized use and/or duplication of this material without express and written permission from the show host and/or owner is strictly prohibited.